Ready to file your taxes and reap the reward of your annual refund? You might want to wait. Big changes are coming to your taxes this year. The Tax Cuts and Jobs Act, the brand new tax reform bill passed in December 2017, marks the biggest change in tax law in decades. And these new policies, rules, and income brackets will drastically change how you approach and file your tax return. Do you know what you need to change on your taxes due to tax reform? If you don’t, you could wind up making a big mistake – a mistake that costs you your refund. What’s Changing for Your Tax Return? Good news for this year’s taxes: not all tax reform changes are happening immediately. Some will take a full year to go into effect. For the most part, the income you earned last year will be taxed according to the tax laws and policies in effect at the time. However, there are a few big changes that are effective immediately. You no longer have to pay a penalty if you don’t pay for health insurance. The Affordable Care Act penalty has been eliminated effective immediately, meaning your refund could be significantly bigger. If you paid the health insurance penalty in years past, you could save up to 2.5% more of your household income. That’s a possible total of an extra $695 per adult or $347 per child without insurance, according to The New York Times. One of the biggest changes happening due to tax reform is the total amount of deductions allowed. For many, deductions are increasing, allowing you to take home more money on your refund (or even keep more money in your pocket). However, no two deductions are alike. In addition to choosing between the standard deduction and itemized deductions, you’ll also need to look at your itemized medical deductions, medical and business expenses, and property taxes. Certain deductions are decreasing by as much as 3%, meaning you’ll get a smaller refund. Depending on your financial status and situation, you might qualify for a retroactive tax break – meaning the IRS could owe you additional money from 2016. Different qualifying factors, like property losses, natural disasters, federally declared areas, and others can all receive additional hundreds or thousands of dollars as a tax refund. You just need to meet the latest requirements when filing. How Will Your Future Tax Returns Be Affected? The full effect of the new tax bill won’t be seen until 2019, when tax returns for the 2018 earnings are filed. Beginning in 2018, your income bracket may be different. Every tax bracket is changing, meaning your total taxes paid will change significantly. For most, this should a tax cut that leaves more money in every paycheck. Yet you’ll want to keep a close eye on your monthly income to see how it’s impacting your finances. Another change under the new tax law will impact the standard deduction. Changing for every income level, the standard deduction will total a new amount for individuals and families – and the personal exemption will disappear, alongside many other itemized deductions. Many individuals may find that filing with standard deductions in 2018 and beyond will forever change how they file their taxes. 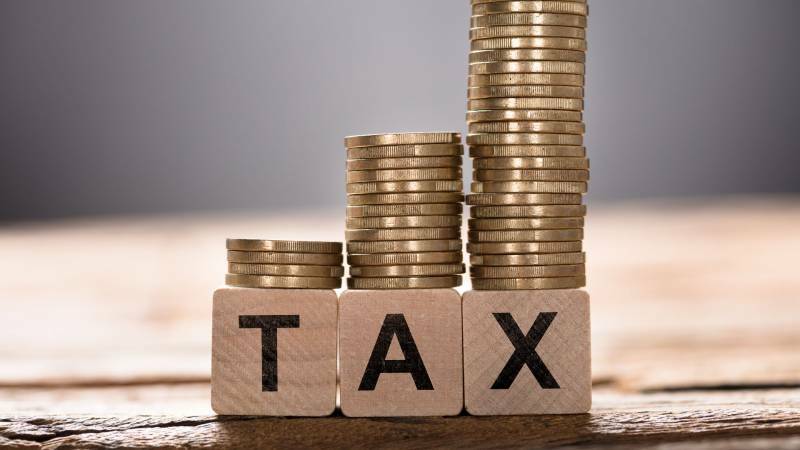 Confused about the details of these new tax policies? You aren’t alone. If you want to fully understand what’s coming both this year and in the future regarding your taxes, you’ll want to enlist the help of an expert. Tax law is always complex, and the details of tax policy will always affect individuals differently depending on income levels, sources of income and other factors. That’s where a tax pro, like a CPA or accountant, can guide you through the process of filing your return. The best way to prepare for tax season is to discuss your individual situation with your tax specialist or accountant. If you want professional help, you can find tax specialists in your area with an easy online search. You can find the right expert to help you maximize your refund and prevent serious mistakes – you just need to take action before you file and get the help of a tax specialist.